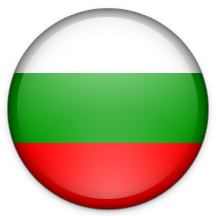 Brenntag Bulgaria was established in 2002 after the acquisition of one of the leading Bulgarian chemical distributors of the nineties. Brenntag Bulgaria works with a team of highly qualified employees. The company operates from a 3000 sq.m. covered warehouse with a possibility to handle both dangerous and not dangerous goods. Based on the Pan-European contracts of Brenntag group the Bulgarian entity proudly represents some of the largest chemical producers. We offer unique channels to market, open up new opportunities, provide competitive advantages and foster additional growth. Our comprehensive team of industry-dedicated experts combines unmatched global reach with local excellence. With safety as our top priority, we offer a full-line product portfolio, together with best-in-class service globally. successful implementation of standards of quality and safety: HACCP, ISO 9001; 14001; 18001 and Responsible care. At Brenntag, we intensively engage with the needs of our customers and suppliers as well as their business. And we are listening to what matters to them. We recognize the challenges and opportunities our partners are facing in today’s highly competitive and increasingly complex markets. We understand that our partners require a truly integrated approach to chemical distribution – one that is built upon the power of connecting customers and suppliers in a winning partnership. One that goes beyond the sheer distribution of chemicals. The distribution of chemicals and ingredients is not just a business to us. It’s an attitude. And the ambition to create true value for our customers and suppliers.